Cyanogen OS 12, the L edition, has been in testing for almost two months now and according to the company it'll soon be ready for a full blown roll out. Final quality assurance is currently underway, with the OnePlus One and Micromax Yureka set to receive the update in the next few weeks. Cyanogen OS 12 is based on the Android 5.0.1 Lollipop update, but some pure Android handsets are now running Android 5.1 so it's already behind the times. OnePlus is still developing its own version of Android called OxygenOS but for now it'll be receiving the CM12 update on its one and only smartphone. Alcatel has just announced the OneTouch Hero 2+ that will ship with Cyanogen OS 11 on board with the update to CM12 coming later in either May or June 2015. With Android 5.1 up and running Cyanogen said it is "evaluating the changes in this newest version and will release this as part of a future OTA update after the initial 'L' update." 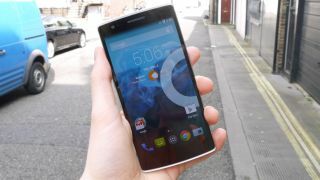 Read our original review of the OnePlus One.